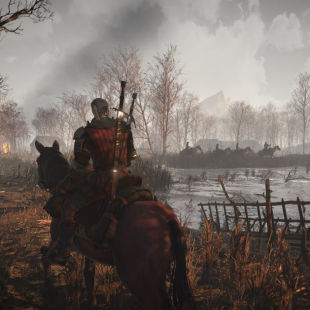 Witcher 3 Dev Promises "No More Delays"
CD Projekt RED co-founder Marcin Iwinski says the studio now has all the time it needs and that it won't be delayed beyond any further. Back in March, CD Projekt RED disappointed RPG fans around the world when it revealed that its highly anticipated game The Witcher 3 wouldn't be releasing in 2014 as originally planned and, instead, was being pushed back until February 2015. The developer blamed the postponement on its desire to ensure the "quality" of the game. That being the case, the company has recently come out to assure its customers that this delay will be the only one. "This is not our first game; we are not newbies," said studio co-founder Marcin Iwinski in a recent interview. "It's not like 'hey we are delaying and we'll keep on delaying'. If we would think we need more time we would say 'hey we'll release it not in [February] but, I don't know, June'. We made the decision at the moment we were able to judge how much time we needed, and we planned it well and it works well for us. So, no more delays." This will undoubtedly be seen as good news by the franchise's numerous and devoted fans who, according to Iwinski, actually reacted to the delay announcement with a fair amount of understanding. "We were really positively surprised with the response," he said. "It was 'hey guys, great that you have the balls to say that you take your time." It will, of course, have to be seen if the end result was worth the wait. That said, just based on the company's past offerings, it's not hard to understand why gamers might be more willing to show some patience.